Up in them thar Hills Yonder. Its amazing the number of passionate cyclists around Adelaide who are taking their passion to the next level. Hills Yonder are a local group of lads working in the graphic design space but have a great passion for cycling, and have been developing some great kit that hasn’t had much exposure. I had the latest Hills Yonder gilet dropped off to me a month back and have had the chance to give it a good solid workout over the last few weeks in the cooler weather. I rode the Medium gilet, which was a good fit for me. There was sufficient freedom to allow me to move around without any restrictions, but not too much that flapped around in the wind. The material is something I haven’t come across before. 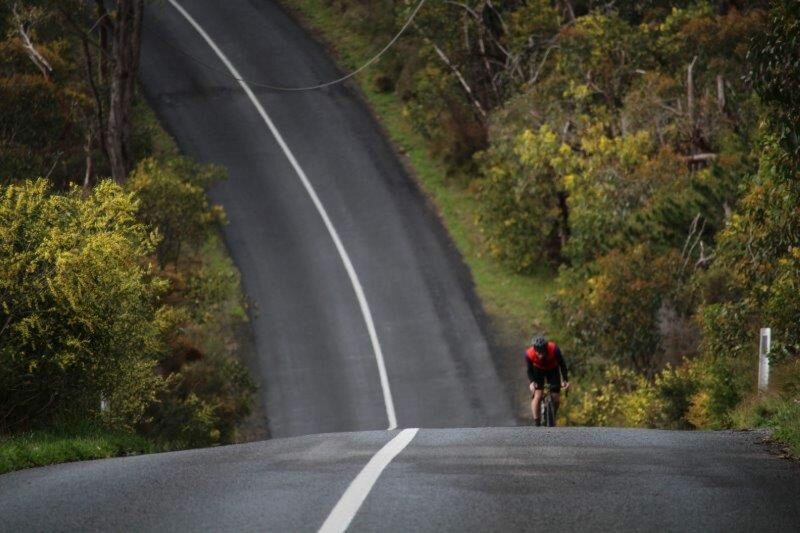 A glossy external appearance, lightweight and nicely resistant to the breeze on those cool mornings around Mt Lofty. Like any good gilet, it has 3 external pockets to add extra storage space for those arm warmers or other gear that you need to remove without having to wangle it into your jersey pockets. Made in Italy, designed in Adelaide, a great addition to the local makers scene. Other kit in their range include the new long sleeved winter jersey, short sleeved jersey and bibs. To order this Gilet, or any of their other products, contact hills & yonder on orders@hillsyonder.com, or you can poke your nose into the Cycle Closet, shop 2/122 Pirie Street, Adelaide or Treadly 4-10, Ebenezer Place, Adelaide.